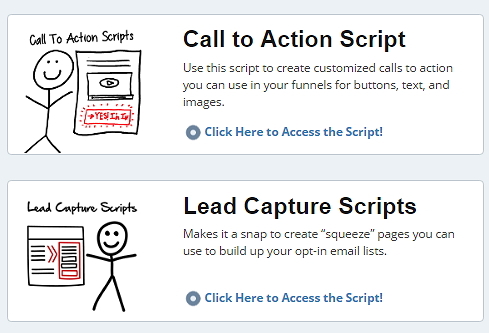 Funnel Scripts is a software where Russell Brunson shares his best draft scripts to create a compelling copy – a copy that engages the audience and converts them to take specific actions. These sales copies are created according to your target market, their needs, challenges, problems and how you think your product or service can solve all of those. 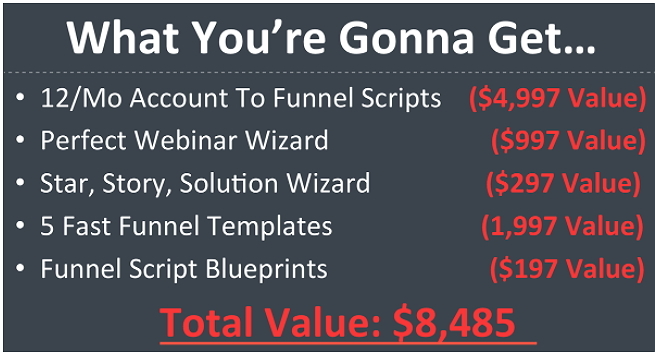 The only deal or discount that have ever existed for Funnel Scripts is a special offer which gives you bonus deals that are worth of $8,485 in total for only $497 per year. 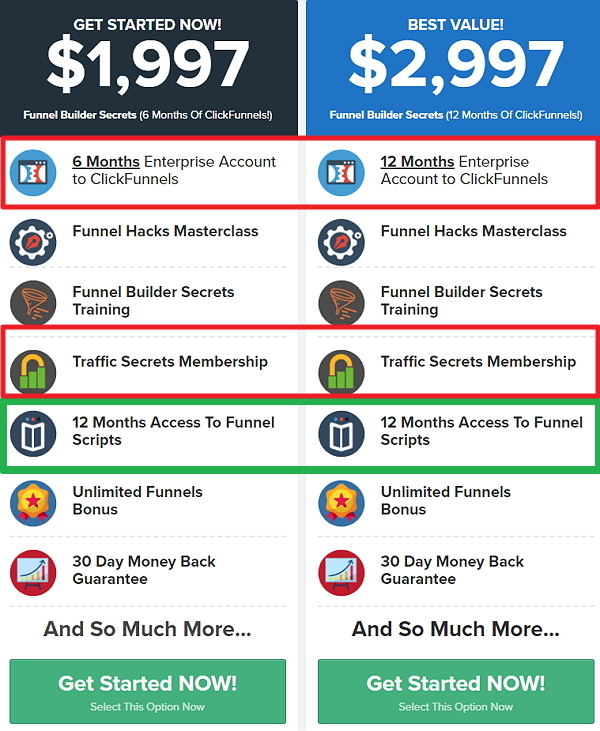 You can get all of Funnel Scripts features and some exclusive bonuses (which are worth more than $8,485) for only $497 a year. – Large variety of scripts – this includes: sales scripts, opt-in scripts, video sales letter scripts, ads scripts (including Facebook ads), and the Perfect Webinar script which has made Russell Brunson millions of dollars. – Script wizards – there are now 4 downloadable script wizards to chose from: The Perfect Webinar Wizard, Video Sales Letter Wizard, Easy Survey Wizard, and Star, Story, Solution Wizard! – Easy to fill in forms – every script has simple form fields that also include examples to help you fill it in quickly. – Training videos – there is a short training video above every script and monthly training calls. – Monthly live training – you’ll get live training each month on the best way to use Funnel Scripts. 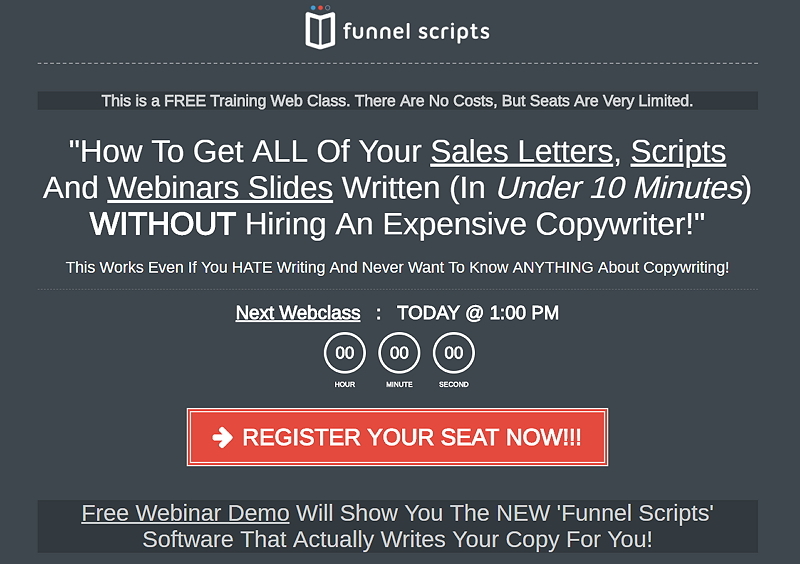 Funnel Scripts also has a SPECIAL offer that not so many people know about (and I want to share it with you here). It’s called Funnel Builder Secrets. …and all of this for only $1,997!